How Much Do You Know About…Recycling? Are you the king or queen of recycling knowledge? Click here to take our recycling quiz to find out! Fill in the blank: _____ of Americans have access to community curbside or drop-off paper recycling programs. Fill in the blank: The annual paper recovery rate in the United States has nearly ________ since 1990. 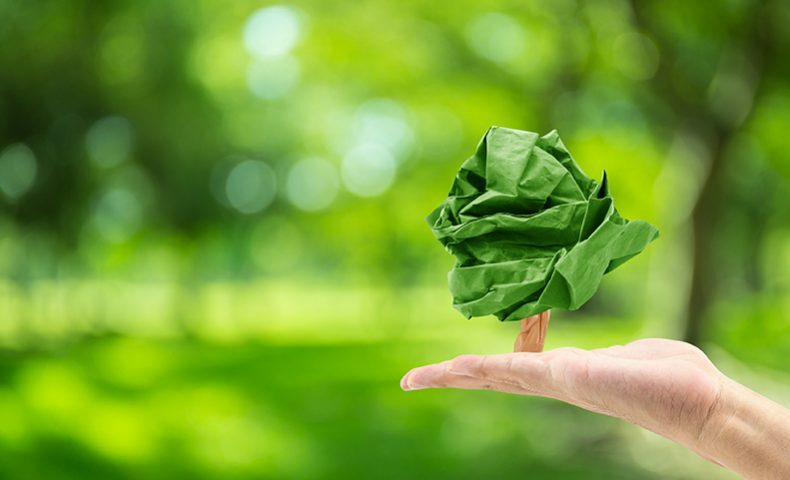 True or False: Paper is the most recycled material on the planet. Which of the following can you NOT recycle? True or False: Shredding paper at home doesn’t affect paper’s ability to be recycled. During the recycling process, shredded paper is mixed with mixed with what material to create a pulp? What does single-stream collection mean when recycling? So Sorry! You don’t know much about recycling! Learn more about recycling and our company’s sustainability efforts on the Domtar Newsroom, where we publish industry insights, highlight innovation in pulp, paper and personal care, and share news about our company. Congrats! You are a recycling champion! Learn even more about recycling and about our company’s sustainbaility efforts on the Domtar Newsroom, where we publish industry insights, highlight innovation in pulp, paper and personal care, and share news about our company.